In fact, this year sees the release of three movies starring characters traditionally called ‘Captain Marvel’. Two by Disney/Marvel, one by DC Comics. The history of these characters is a tale of lawsuits, publisher rivalries and questionable editorial decisions that date back to the very origins of comic books themselves. Cinema-goers and comic book fans alike are bracing for the arrival in cinemas of Brie Larson’s Captain Marvel on March 8th. The film will signal the first female-led Marvel movie and the introduction of a character who will play a significant role in Avengers: Endgame released on April 25th. What they may be less aware of is the fact that there is, in fact, another Captain Marvel movie to be released this year. The Warner Brothers film titled ‘Shazam’ is part of the DC Comics stable and features Zachery Levvi as Billy Batson, the original Captain Marvel. You might well ask if this is the original Captain Marvel, why is the film titled ‘Shazam’ — the word Batson calls out to transform from a teenage boy to a statuesque superhero? Well, it isn’t just to avoid confusion. DC legally cannot title a Captain Marvel starring book, comic, film, cartoon or game ‘Captain Marvel’. The history behind this is as interesting as any plot-twist a Marvel or DC comic could throw up, and features its fair share of dastardly villains. 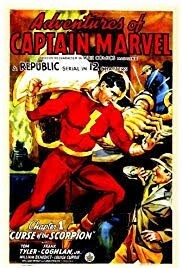 The Big Red Cheese: The Original Fawcett Captain Marvel–now known as Shazam. The character which DC now call their Captain Marvel was initially published by a company called Fawcett in 1939 — making his debut on the cover of Whizz Comics #2. The character came a year after the debut of DC Comics’ Superman in Action Comics issue #1 and a glance at those two covers hints at the future battle between the two publishers. 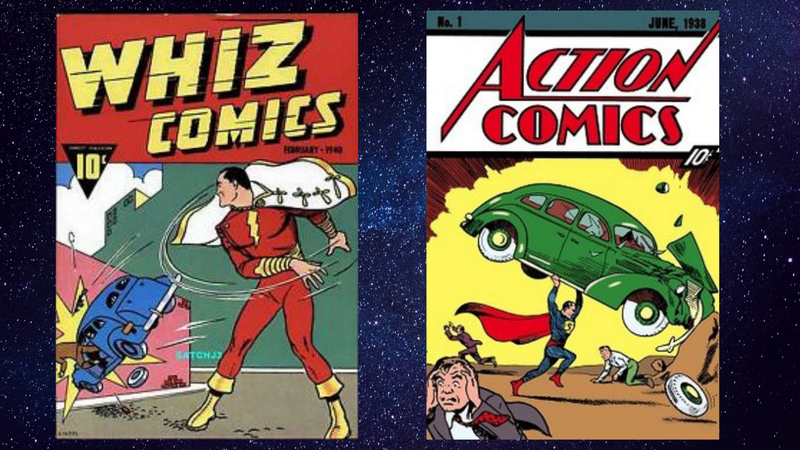 Action Comics #1 features a striking figure equipped with square jaw, cape, and strong-man suit, lifting a car, whilst the cover of Whizz Comics features… Erm… well, at least he’s throwing the car in this one. 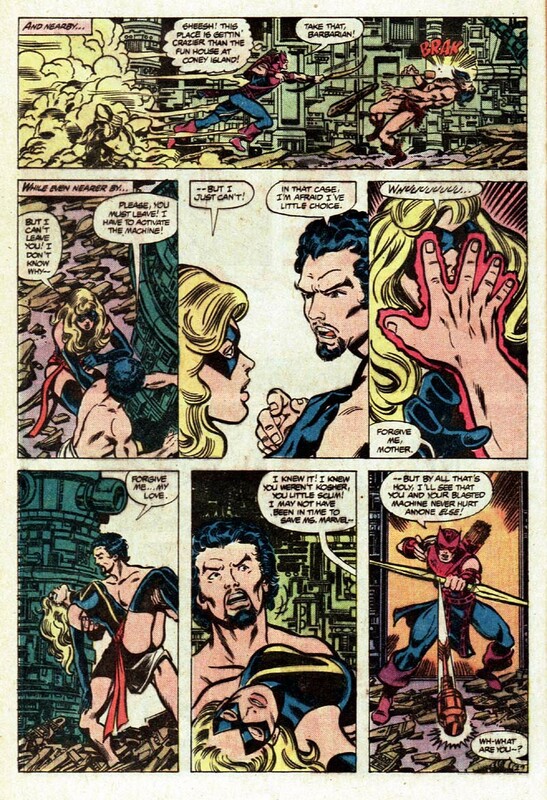 Despite the differences in the origins of the two characters, the similarities between Superman and Captain Marvel were striking. Had Captain Marvel been just a flash-in-the-pan, a sidenote in comics’ history, it’s likely that DC would have left Fawcett to its business. The problem was, it wasn’t long before this original iteration of Captain Marvel — nicknamed ‘the Big Red Cheese’ by his archnemesis Dr Savanna, who himself bore an uncanny likeness to Lex Luthor — was outselling Superman at the newsstands. The Big Red Cheese also beat the Man of Steel to the Silver-Screen, receiving his first movie-serial in 1941. The lawsuit was launched by DC (then known as National Comics) in 1942 after the publisher had demanded Fawcett cease publication repeatedly and the latter had refused to back down, as they had done with a previous character — Master Man — at DC’s command. The bitter lawsuit would last twelve years, culminating in 1954 when Fawcett settled the case. The reason for this was that the market ad dropped out of superhero comics. They had virtually ceased publication of the characters involved in the case anyway, it just wasn’t worth fighting anymore. Part of that settlement — Fawcett had to agree to never publish Captain Marvel ever again. The license to Fawcett’s remaining characters and unpublished work was sold to Charlton Comics — who would then go on to be acquired by DC in 1983. Interestingly, it was these Charlton heroes that were originally slated to be the focus of Alan Moore and Dave Gibbons’ Watchmen series, but DC decided they had other plans for characters. Of course, the fact that Captain Marvel was now back in publication harmed Superman’s sales not-one-jot. In fact, DC would never boost the Big Red Cheese back to the status he had once enjoyed. One interesting thing about the cover of Shazam issue 1 was the inclusion of the tag-line “The Original Captain Marvel” which was intended to grace every issue. That would have been the case had DC not been slapped with an immediate cease and desist order by another publisher. You see in the time that the OG Captain Marvel had lain dormant, his name had not. Marvel Comics had snapped the trademark up in 1967 and had a character in publication ever since. This character would go on to have an intrinsic link to the Carol Danvers character portrayed by Brie Larson in the upcoming Captain Marvel movie. Introducing Marvel’s Captain Marvel — all seven of them. 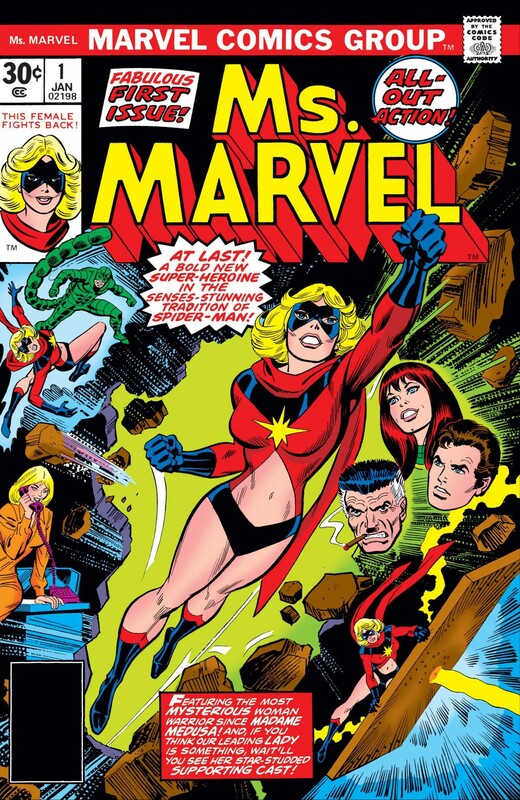 The first Marvel Captain Marvel would launch in December 1967 in issue 12 of Marvel Superheroes, before spinning off into his own title in March of the following year. 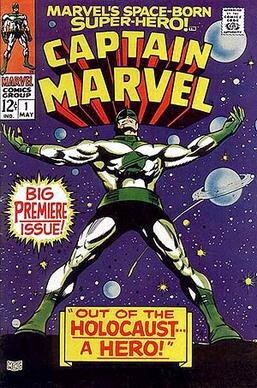 The character, a military officer of the Kree-race, named Captain Mar-Vell (yes, really) was created by Stan Lee and Gene Colan but would be majorly revamped by Roy Thomas and Gil Kane. The original design, a white and green battle-suit was rather too generic a look for a Marvel superhero at the time. In fact, the revamp would see Rick Jones — a long-term secondary Hulk character — summon Mar-Vell from the Negative Zone to inhabit his body and give him superpowers. Hmm… a teenager summoning the powers of an all-powerful being? Clearly this iteration, in its form-fitting red and blue spandex uniform with a yellow-symbol on its chest, was a nod to the Fawcett Captain Marvel. The character would remain in publication until 1982 when Marvel made the bold decision to kill him— a major character death being something not common at the time — in the Jim Starlin penned graphic novel The Death of Captain Marvel. That final product is something quite extraordinary. Mar-Vell succumbs not to the blow of a vicious enemy or diffusing a doomsday device, but to cancer surrounded by friends and family. The panel in which Captain America instructs the other heroes to leave Mar-Vell and Jones alone in the former’s final moments are particularly poignant. The problem Marvel had from this point on was that to retain that copyright and to prevent DC claiming the title Captain Marvel back, they would need to keep the character in publication. The first character to claim the name, was a woman, but not Carol Danvers. Instead, Monica Rambeau would carry the mantle of Captain Marvel. 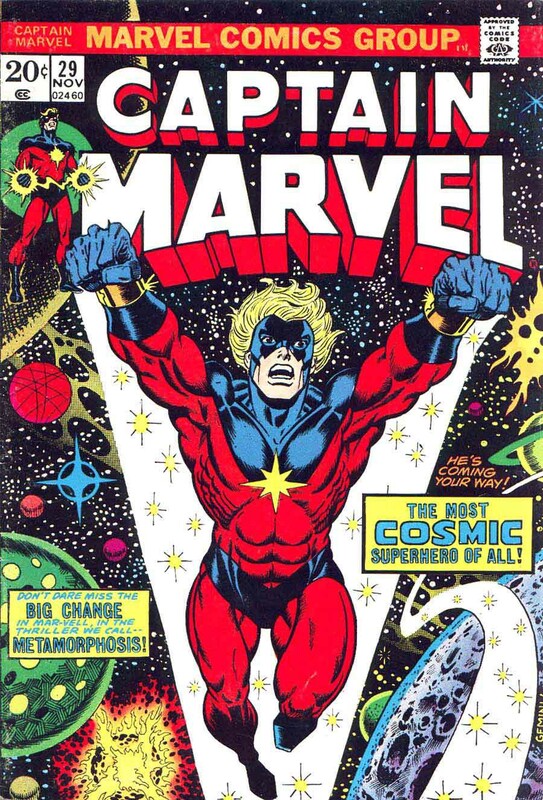 The character had no real connection to Mar-Vell and mostly served as a member of the Avengers. She still had a decent run with the title, going from 1983’s Amazing Spider-Man annual to 1993 when she passed the name to Mar-Vell’s son, Genis-Vell. After that, it’s a bit of a mess really. None of the characters that Marvel grant the name to after this point have any real staying power. It’s something that is quite ironic, given that the perfect candidate was sitting in plain sight all along. Carol Danvers: Ms Marvel, Binary, Warbird, Captain Marvel? Much as the name ‘Captain Marvel’ would bounce from character to character during the ’80s and ’90s, the character that now holds it would suffer from similar editorial indecision as the Marvel staff couldn’t decide what name to give her! The irony of this should not go unappreciated. Danvers had been introduced an issue after Mar-Vell as an associate of his in the US airforce. As was the trend at the time — following the likes of Spider-Woman and She-Hulk — she would later be transformed into the female counterpart of existing Marvel hero. Unsurprisingly, Captain Marvel. Taking the questionable name Ms. Marvel, Danvers would receive similar powers to those of Mar-Vell’s after her genetic structure is ‘melded’ with his in an explosion. Danvers received her self-titled series in January 1977. The prefix ‘Ms’ was meant to signify a socially progressive attitude and elements of the book would focus on Danvers’ struggle for equal pay and recognition in her civilian life. 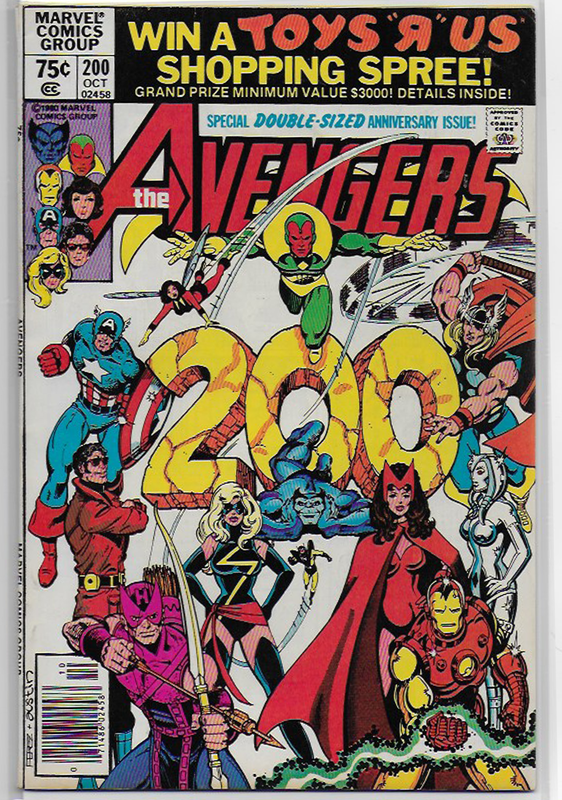 Unfortunately, Danvers would be the subject of one of the least progressive and truly weird storylines in Marvel history, the often discussed Avengers #200, published in 1980. The year before, Danvers had been added to the Avengers team but editorial had mandated that the team had become too large and someone was to be written out. It was decided that Ms. Marvel would be the character to get the chop. Avengers #200 featured a stunned Danvers discovering that she was pregnant and said pregnancy was progressing extremely quickly. During the issue, she gives birth to an entity known as ‘Marcus’ who grew to adulthood within its pages. Marcus revealed that he had impregnated Danvers with himself, quite against her will so she would give birth to him. No, I still don’t get it either. Due to events in the book, Marcus cannot remain on Earth and must flee to an alternate dimension. At this point, Danvers declares she loves Marcus and will be leaving to spend her life with him. The Avengers wave her a fond farewell. Quite rightly, several Marvel writers — particularly the X-Men’s Chris Claremont, who had co-written the Ms. Marvel title — were furious with the undertones of the story, stating Danvers had clearly been raped and that the Avengers would have never allowed her to leave with her abuser. Claremont would seek to undo the damage in Avengers Annual #10 which featured an angry Danvers return and confront her former team-mates. She would also wipe all records of her time as Ms. Marvel from the government’s databases. Danvers would spend the ‘90’s bouncing from name to name, displaying different powers at different times. As a reader at the time, it was clear that Marvel had no real plan for her. That was until Marvel finally decided she should be the worthy recipient of the Captain Marvel title in 2012, taking along with it, a much more prominent role in the Marvel universe. So who is the ‘real’ Captain Marvel? The release of the Brie Larson starring film hasn’t been without controversy. A certain section of the Marvel fandom have taken umbrage with Larson’s — admirable, but perhaps a touch too strident — comments on diversity, others really don’t like Danvers as a character. They think that Captain Marvel should be a man, despite the fact the title has been held by three women thus far. I suspect they would like to see Mar-Vell introduced to the MCU — the problem is that character has been out of print for almost four decades and he was never very accessible even when he was in print. Their voices have become so loud that Rotten Tomatoes had to change its review policy to stop a wave of negative reviews posted before the film was even screened! Despite this his negative push-back the film still made $1 billion dollars at the worldwide box office. 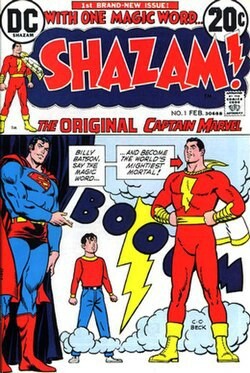 As for the ‘Big Red Cheese’ –in 2011 DC Comics gave up the ghost and renamed their Captain Marvel ‘Shazam’ in comic interiors as well as covers. Of course, none of these things nor the 70-year battle over the name should stop the fans from enjoying both movies. Tonally, it looks like they couldn’t be more different. Captain Marvel looks back at the history of the MCU introducing the shape-shifting Skrulls who may well have infiltrated the landscape of those films deeper than we realise. Whilst, Shazam seems to be taking a more fun, upbeat, look at the superhero genre — a tonal shift that DC desperately needs and one that, thus far, has garnered mostly positive reviews for the film. In short, it seems there is room for more than one Captain Marvel… Now, Miracle Man… that’s another story.